Good sleep starts in a healthy sleep environment. The conditions in your child’s room make a difference in her ability to fall and stay asleep. This is one area where the location of your home — urban or rural — makes the biggest difference. The sleep environment needs to be dark and quiet because both mind and body have to fully relax to fall asleep. Urban areas may have more light pollution, traffic, and street noise, all of which can interfere with sleep. Light, whether it comes from the sun or from an artificial source, helps establish your child’s circadian rhythms. Circadian rhythms are 24-hour cycles that control, amongst other things, your child’s sleep-wake cycle. 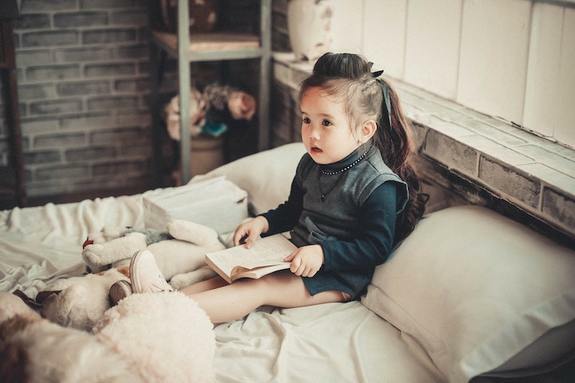 If light from a streetlamp streams through your child’s window at night, it can cause wakefulness or even disrupt the release of sleep hormones. Sounds that can be heard through the windows have a similar effect. Blackout curtains or heavy drapes block out light and absorb some sound. You can also try using a white noise machine or app to drown out street noise. The next step is to make comfort a priority. Scratchy tags and seams that an adult would never notice can be a deal breaker for a child. Check the mattress for tags, lumps, or sags. There are many high-quality mattresses on the market for less than $1000 that can eliminate this kind of discomfort. When it’s warm out, sheets with natural fibers like cotton and linen breathe better and can keep your child from overheating. As temperatures start to drop, flannel and jersey sheets offer more warmth. You’ll also want to turn the thermostat down to a cool 60 to 68 degrees to support the drop in body temperature necessary for the onset of sleep. One of the most important things you can do is to establish a consistent sleep schedule. Going to bed and waking up at the same time every day helps your child’s brain know when to start the release of sleep hormones. When your child is trying to get back into the school groove, a consistent bedtime can make sure he’s getting the rest he needs. You can prevent Monday sleep debt by sticking to the bedtime on weekends, too. FInally, for the child who has trouble settling down at night, develop a calming bedtime routine. Like a consistent sleep schedule, bedtime routines help the brain recognize when to start release of sleep hormones. A routine also gives your child some time to calm down and relieve stress that may be lingering from the school day. It’s also an opportunity for the two of you to share some quiet moments together. Reading a book, listening to quiet music, or taking a warm bath can all be part of a healthy bedtime routine. Try to perform each activity in the same order and start to the routine at the same time each night. While rural living may be quieter and a little less bright, you can get the same deep restful sleep back here in the city. Give you and your child some time to adjust to the new schedule and before you know it, you’ll both be resting easy.